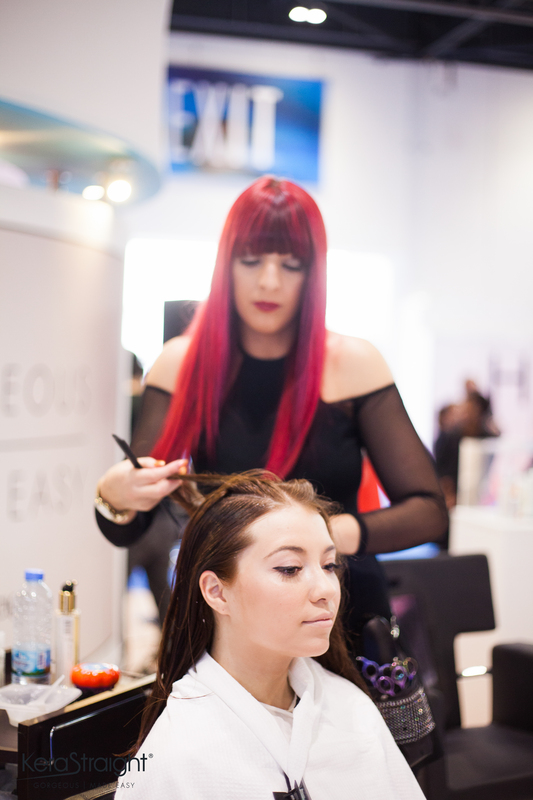 The weekend before last, I was invited down to Salon International to try out KeraStraight’s KS Ultimate Treatment. 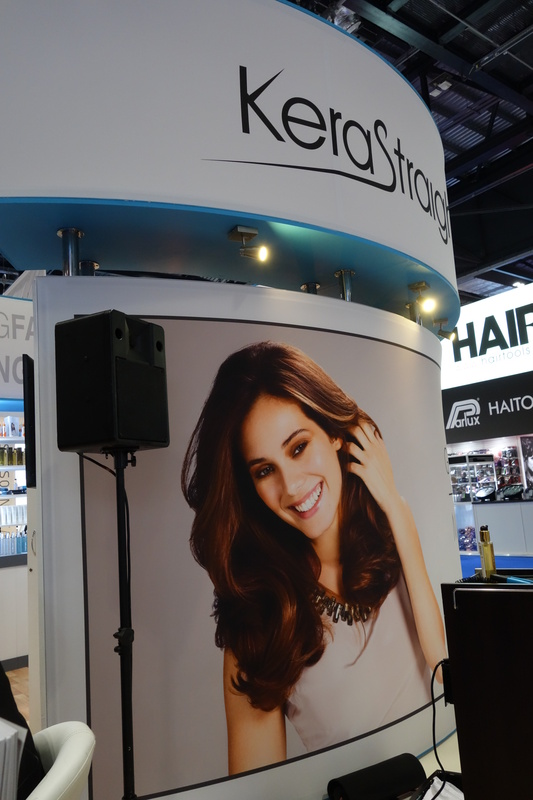 For those of you who might not know, keratin treatments eliminate hair frizz, make your hair shine and reduce blow drying time by up to half. What’s not to like? My hair is thick, wavy and unruly. The look in the pictures above takes me about an hour – and that is an attempt to blowdry it straight (which lasts about five minutes!) 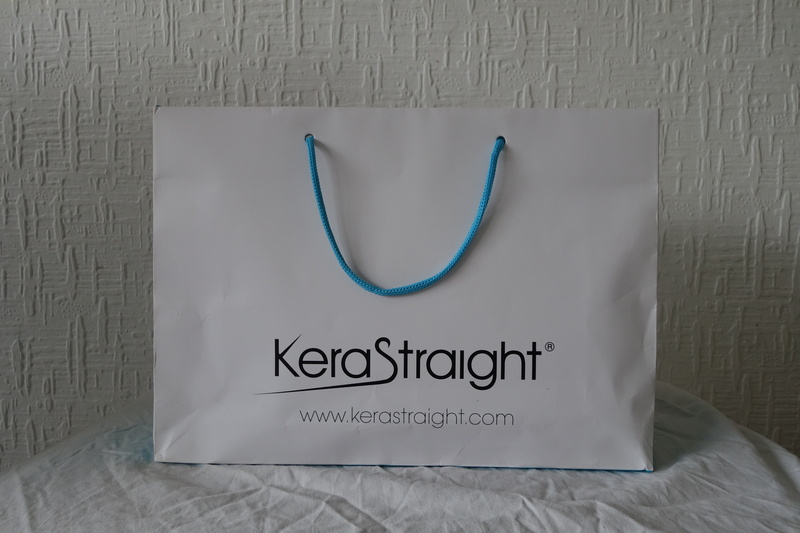 I’d had a similar treatment done years ago in Japan, so when the opportunity came to try KeraStraight I was really excited! 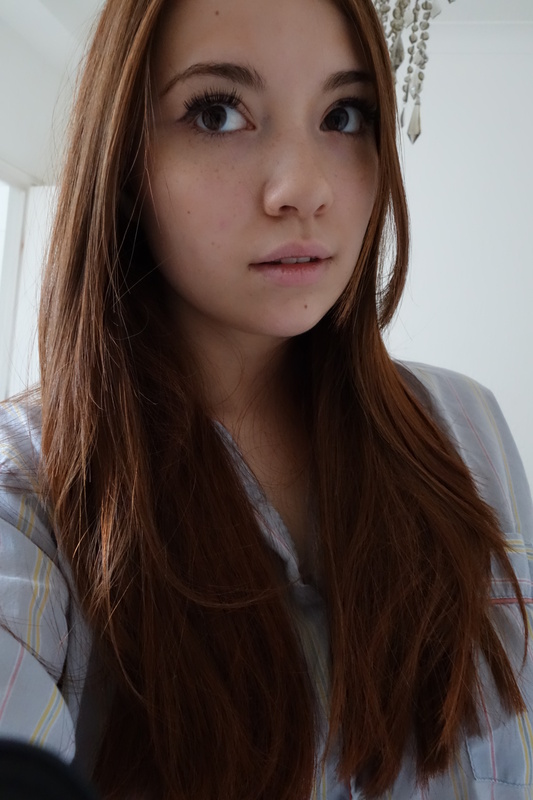 I have never dyed my hair, and I don’t tend to be particularly experimental with it – so for me, this was a big step. I placed my hair in the expert care of some stylists from Trevor Sorbie. 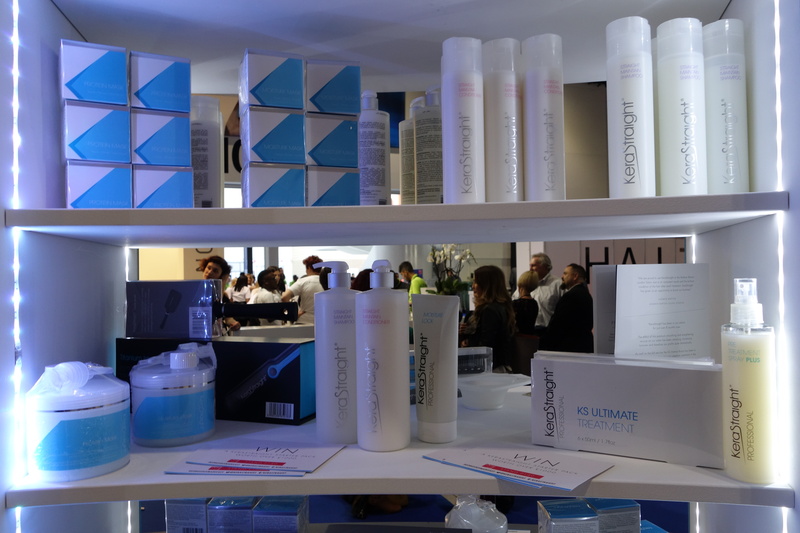 They began with washing my hair in a pre-treatment cleanser twice, leaving the second shampoo in for five minutes. 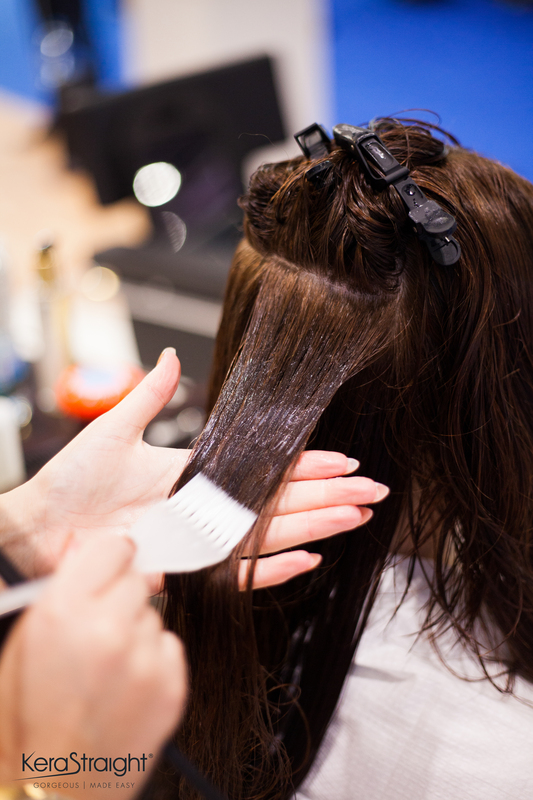 During this time your hair is put into a plastic cap, before having pre-treatment spray combed through towel-dried hair. Then the treatment is applied. I’ve lived in several girl-dominated houses, and was fully prepared to endure an overly powerful chemical smell, but found that the treatment doesn’t have it at all. In fact, it just smelled like really nice shampoo, which was quite nice as you leave it on for 45 minutes (and doesn’t give you a headache). While I was waiting, I got to see some of the others who had the treatment done. Can you guess which side has had the treatment here? 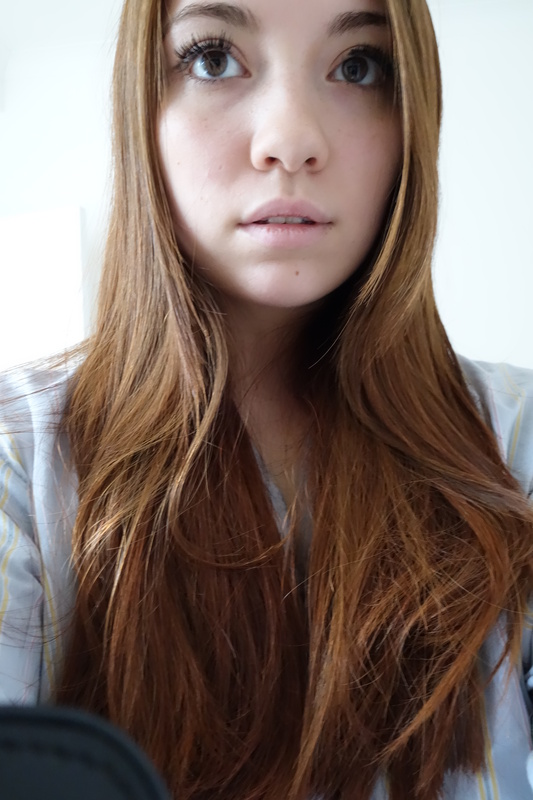 The results were crazy, and her hair was so smooth on the treated side. 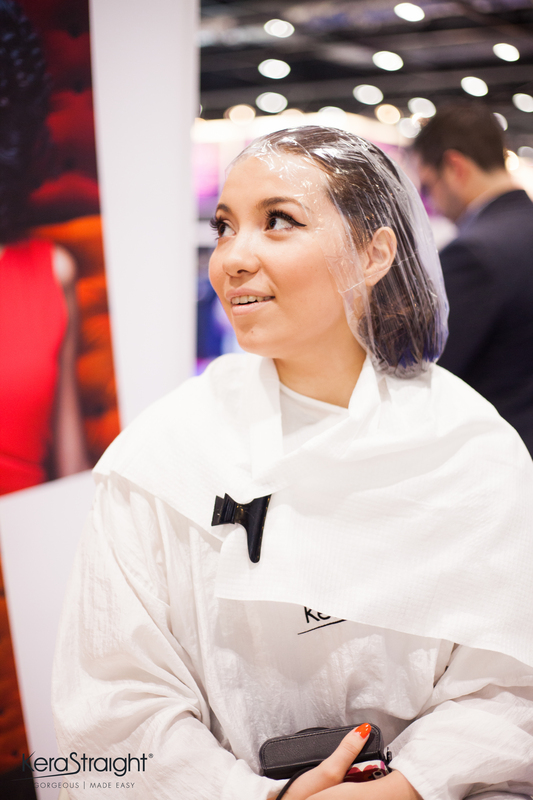 After the waiting time, your hair is given another quick rinse before the moisture lock is applied. 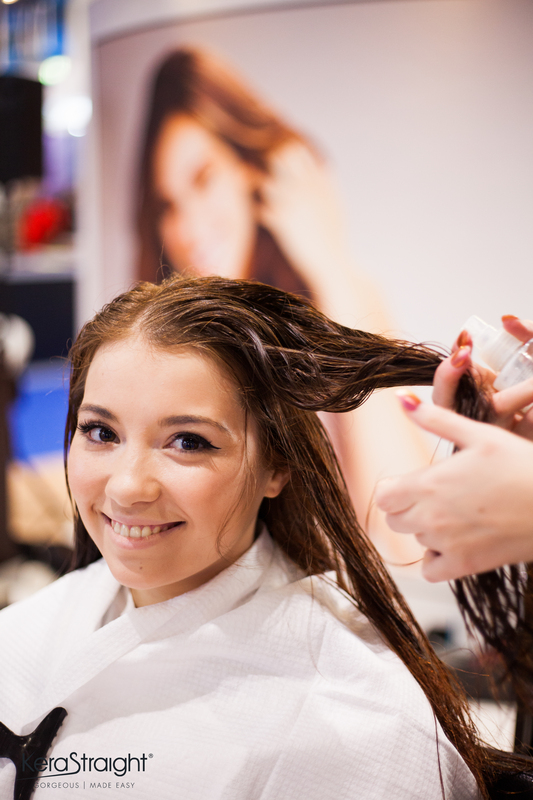 The moisture lock is left in your hair for two minutes before your hair is rinsed out. 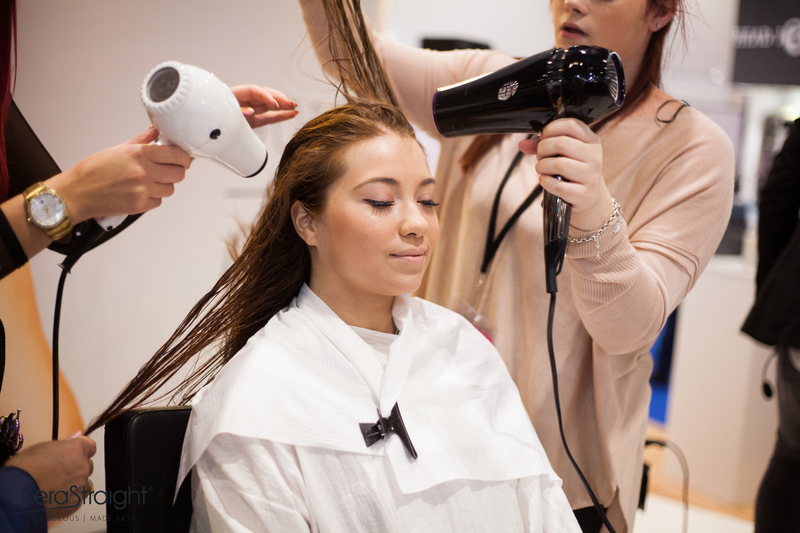 Then you can start blow-drying and ironing your frizz-free and manageable hair! 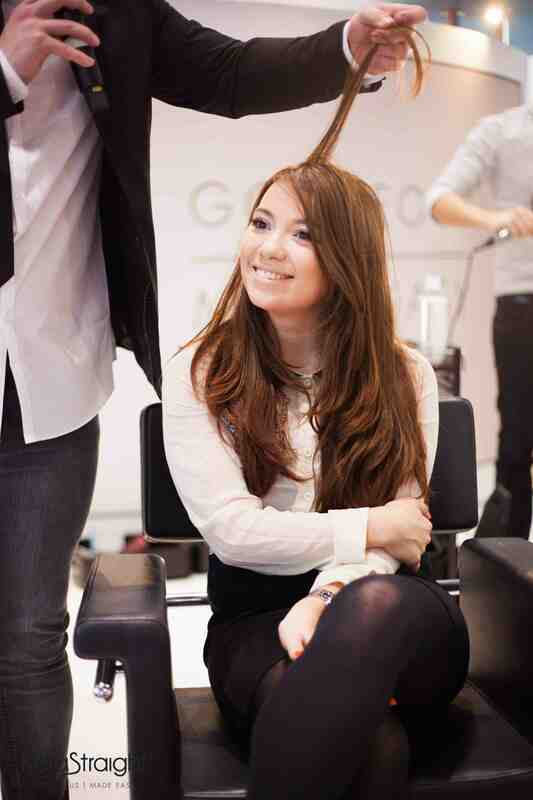 The stylists were absolutely brilliant – even with the treatment, blowdrying my hair turns out to be a three-man job! I felt like Beyonce. 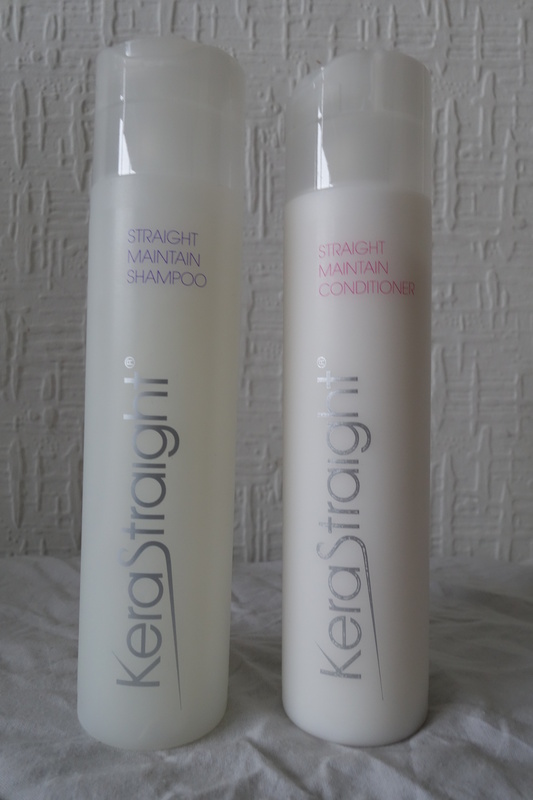 I was absolutely thrilled with the results, and it felt so silky and smooth and I thought they did great. However, I think the real mark of a hair treatment is when you go home and style it yourself. Unfortunately having the stylists on retainer doesn’t fit into my budget, but I was intrigued to see whether the treatment works after the stylists have done their bit. I left my hair as is for three days, even though you could wash it almost immediately. My hair has been shinier, and has cut the blowdrying time in half. This is great, as I usually spend around an hour blowdrying my hair for it to get the look I want. 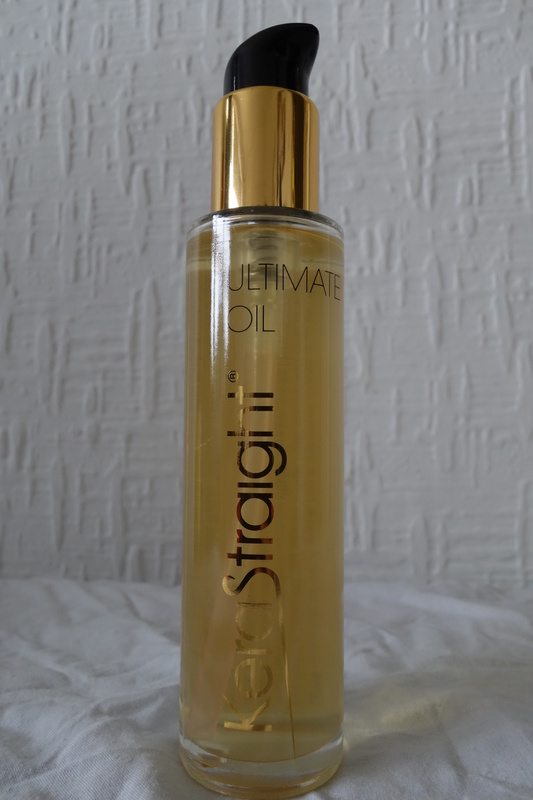 Using some of the oils and shampoos I was given by KeraStraight, my hair has been looking great and I am absolutely thrilled with the results! I had the KS Ultimate treatment, but there are other treatments available. 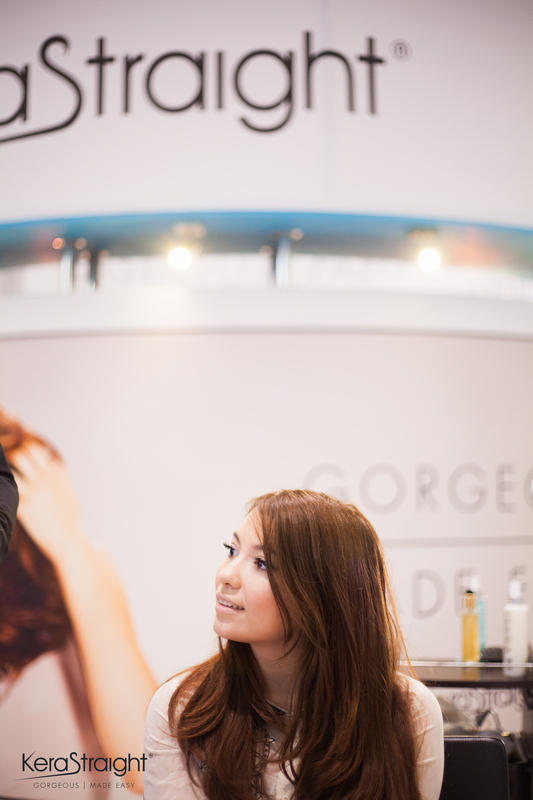 Treatments are available at salons for around £250. It’s great for saving time, and protecting your hair as you don’t using as much heat on it. 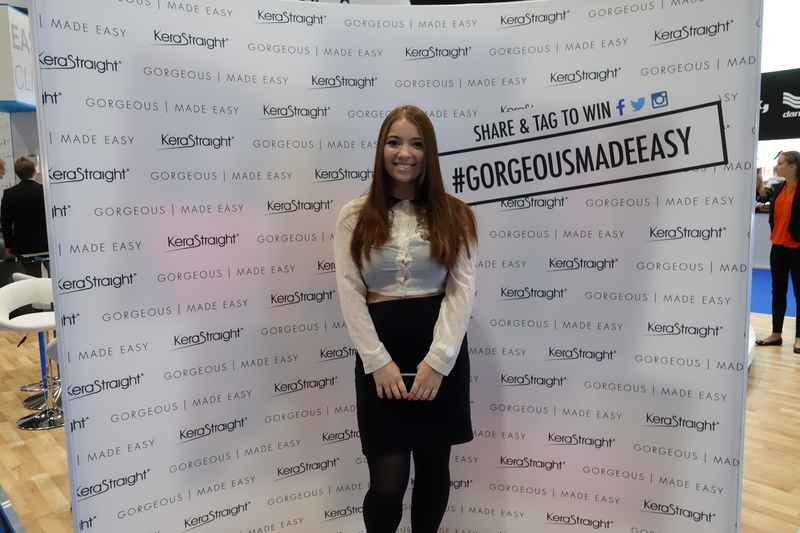 Thank you KeraStraight for my lovely new hair – I’m a big fan! Great post! and what lovely photos — you do have gorgeous hair. 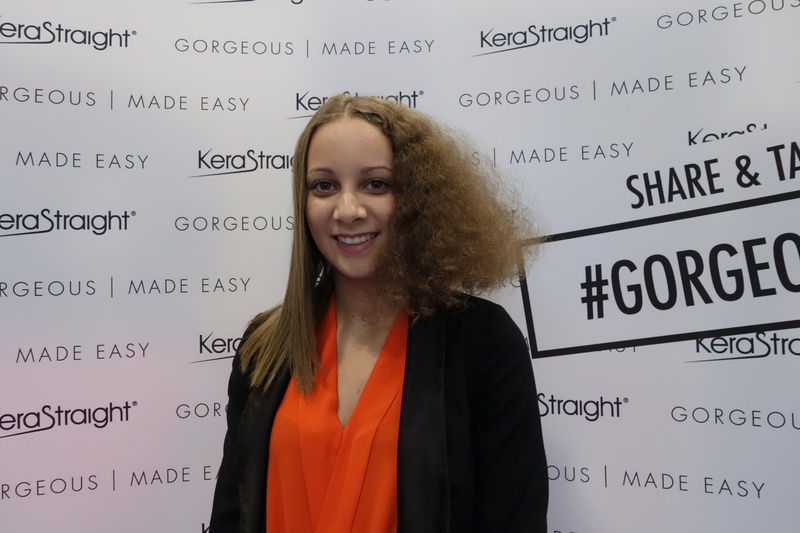 Hi ladies, at Hair Definitions Hair Salon, Highgate, London, we specialise in Kerastraight for Afro and Mixed Race hair and unruly frizzy hair. 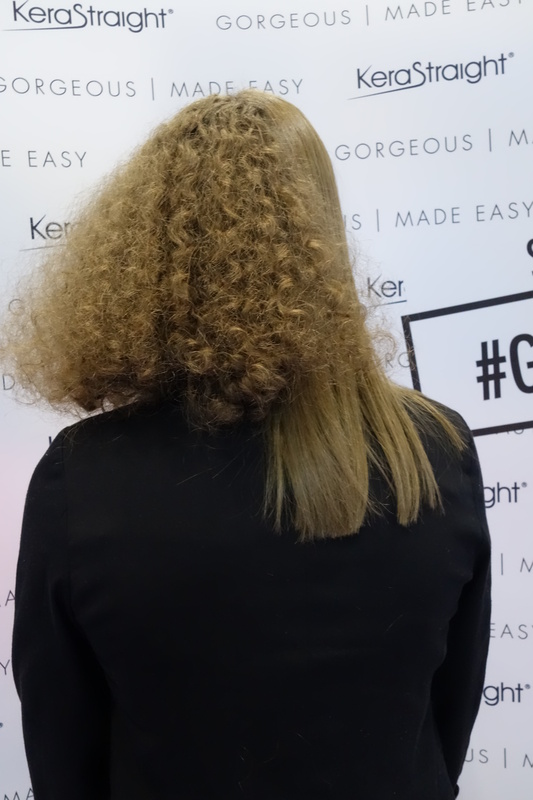 We have been using the Kerastraight Ultimate at the point of launch and over the last two years have achieved amazing results for our clients. Our clients have ditched the relaxers and instead have beautiful, shiny glossy hair that keeps on growing and growing. For a limited time only we have a special offer on the Kerastraight Ultimate for new clients for £77.99 (normally £120-£150) http://www.hairdefinitions.co.uk/pages/kerastraight-brazilian-blow-dry.